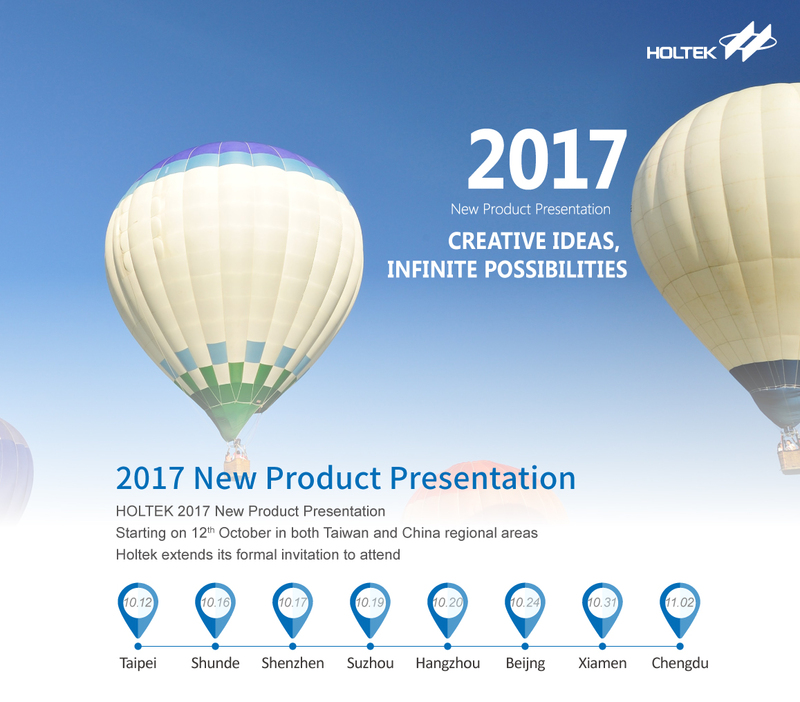 As a leading professional microcontroller IC design house, Holtek Semiconductor's Taiwan and Mainland China New Product Presentation tour will this year take place between October 12 and November 2. The first seminar kicks-off on October 12 at the Ambassador Hotel in Taipei. As the combination of home life, health care and IoT intelligent applications are witnessing steady growth and as wireless charging technology is also seeing continuous improvements around cost and safety issues, a range of life-friendly applications including wireless communication, energy-saving and security, wireless charging, etc., will see increasing use in daily life. At this year’s exhibition, Holtek will exhibit its all-new solutions in application areas such as health measurement, smart home appliances, security products, wireless charging products, wireless communications, wearable devices etc. These will include new high-efficiency 32-bit MCUs, smart home touch control applications, new health care measurement applications, Sub-1GHz/BLE/NFC wireless communication devices, BLDC energy-saving brushless motor applications, fire and gas detection security applications, innovative display driving control applications as well as the latest low-power/medium-power wireless charging products. Additionally, and in order to assist customers with rapid product development, a range of module products will also be on display which will greatly simplify the manufacturing processes as well as increasing design flexibility. This full range of new Holtek device solutions are provided to assist customers to rapidly develop their designs for speedy entry into these competitive product market areas.